AA Compliant B2C & B2B web solutions for DisabledGo, the UK’s leading provider of access information. 125,000+ places of interest in the UK and roi. Although DisabledGo had been building a corpus or reports but lacked an effective platform to engage with their public sector and corporate clients. They had also commissioned an organisation to manage and host the guides and therefore needed the website to integrate into the system so the reports could be accessed. From a B2C perspective, the site needed to be able to plan trips based on venue, location so users could plan their activities. It also needed to serve as an effective marketing platform to allow the DisabledGo team to engage with the site’s B2C users. A separate B2B site was also required that would showcase the services it offers Local Authorities, Education, Healthcare and to clients across the Private Sector as well as a restricted area to allow access to DisabledGo’s clients’ access guides. This needed collaboration tools and an account management zone to aid interaction between the two organisations. As many of the users of the site were disabled, despite the extremely rich functionality required the site needed to be WAI AA compatible to offer the best user experience possible. To make this more than mere lip service having the site’s AA compliance validated by a third party was requested. 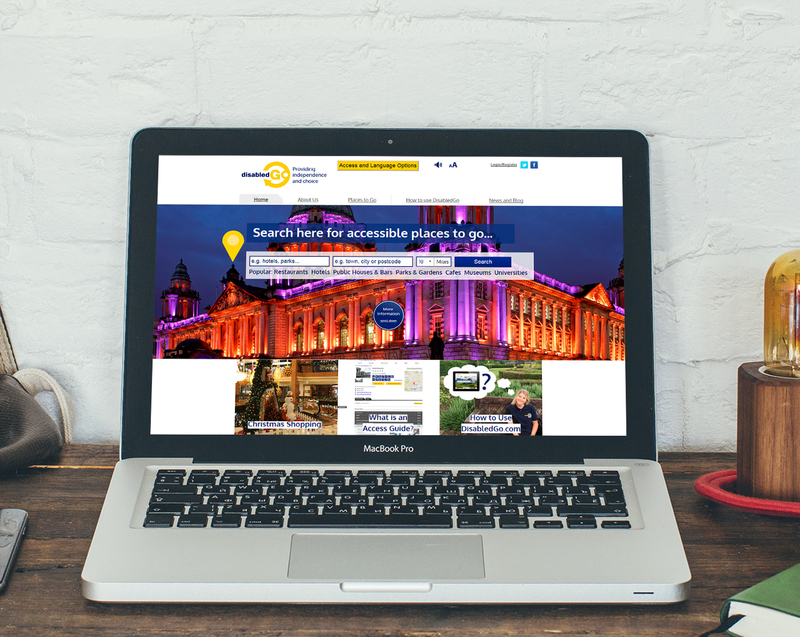 Online access information to over 125,000 places of interest across the UK and the Republic of Ireland. Access reports to consumers, allowing disabled users to use the site to plan trips, music events, visits to leading stores such as Boots and Marks and Spencers and a wealth of other activities. The site’s AA status was validated by The Shaw Trust and adheres to extremely strict guidelines. The site provides a powerful online tool and has streamlined the business providing access 24/7 for its B2B customers and an extremely useful tool for its B2C stakeholders in keeping with DisabledGo’s status as a leading UK Social Enterprise. 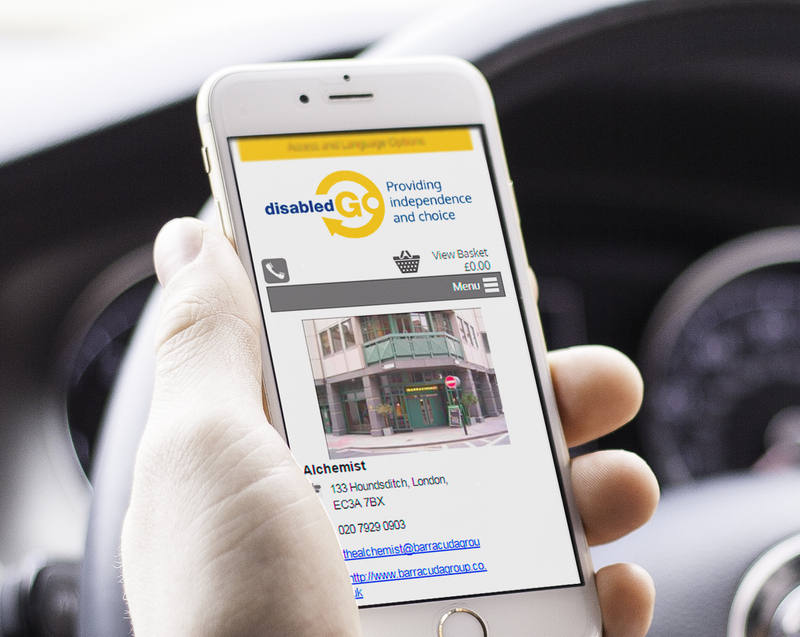 DisabledGo's solution has solidified its position as the UK's leading provider of access information. Visitors are spending longer engaging with the new solution, reading guides and becoming a part of the community. An optimised home page with a focus on search has led to a reduction in bounce rate of 20%. DisabledGo has full control over the CMS of the new website, allowing SEO content to be uploaded quickly and efficiently. Get started building your new web solution.